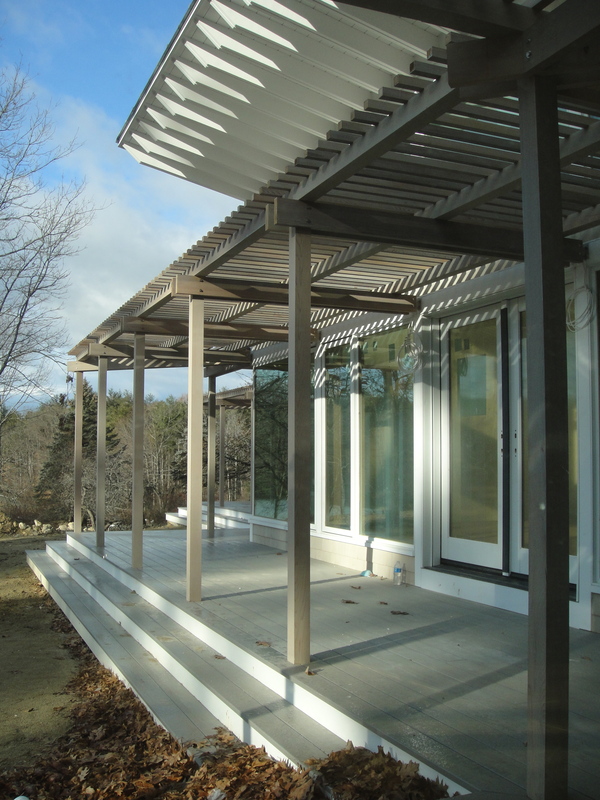 One of our houses, under construction in New Hampshire, engages the sun in interesting ways. A cedar pergola enlivens an outdoor veranda with constantly changing shadows. Further above, a generous sun visor protects the house in summer and welcomes it in winter. © 2019 Frederick Phillips & Associates, all rights reserved.